Mumbai, April 13: The city police Saturday said there was no security threat to the Wankhede Stadium in South Mumbai during the ongoing IPL cricket matches. Police said a "fake news" was being circulated since Friday about the threat to the stadium. 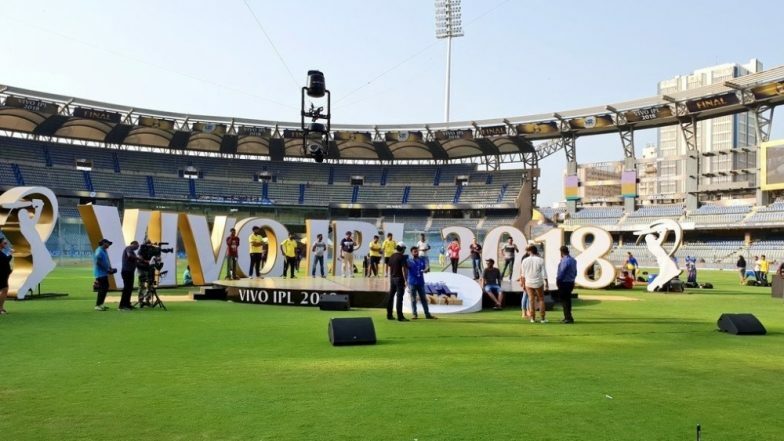 "There is no specific intelligence input about the threat to Wankhede Stadium during the IPL matches," Mumbai police spokesperson DCP Manjunath Singe said. MI vs RR, Live Cricket Score of IPL 2019 Match: Get Live Updates of Mumbai Indians vs Rajasthan Royals. Mumbai police has been taking and will always take highest possible security measures to keep the city safe, he added. Police urged the people not to believe in rumours and fake news. Mumbai Indians will take on an out-of-sorts Rajasthan Royals in a day game here on Saturday. The home team is eyeing their fourth win on the trot.